Claire Dorothy (Sullivan) L’Italien, 92, of Andover, passed away peacefully surrounded by her children at Ashland Farm in North Andover, Mass., on April 3, 2017. Born on November 10, 1924, in Lawrence, Mass., to James Henry and Alice Aida (Lynch) Sullivan, Claire was the youngest of seven siblings raised on Swan Street in Methuen. 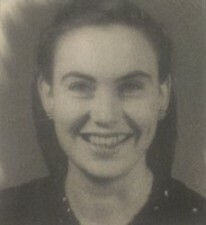 Claire attended Saint Laurence O’Toole Grammar School, Edward F. Searles (Methuen) High School, and Lesley College. Upon graduation, she returned to Methuen where she taught the first and second grades at the Central School for five years. She met her future husband, Rudolph (Rudy) L’Italien, at Old Orchard Beach, and after a two year courtship they were married in 1951. Soon after the wedding they started off on an adventure that began when Rudy accepted a job with the FBI. His 28 year career brought them to seven homes in five states and blessed them with eight children, affectionately referred to by Claire as her "beauties." After 16 years on the road, Claire and Rudy returned home, settling in Andover in 1967. As Mom, she did it all. She was the taxi driver, diaper changer, referee, dish washer, boo-boo kisser, grocery shopper and queen of the laundry. And through it all, in that chaotic house of 10, there was laughter, family, and love. She always saw the good in people, her positive attitude and humor sustaining everyone around her. She was devoted to her siblings, Mary, James, Daniel, Alice, John and Edmond, and spent many happy times with them. Claire was also devoted to caring for them in their twilight years. Once the kids grew up, Claire enjoyed going to art and creative writing classes at the Andover Senior Center, rediscovering a love of art and making new friends. Following Rudy’s passing in 1988, she was comforted by her dear niece, Maureen (Blanchette) Pekarski. She fully enjoyed her role as Nana to 20 grandchildren, spending winters in Florida and summers in Maine, also serving as an officer of the Lawrence Garden Club. In 1994, Claire swapped her empty nest for a blended family with her daughter, Barbara; her husband, Kevin; and their four children. “Nana” was a second mother to the kids and it kept her young in spirit. She was able to age gracefully at home for the next 21 years. Claire’s family would like to express their gratitude and thanks to Spectrum Adult Day Health, Shelly, Renee, Paula, and the memory care unit at Ashland Farm, North Andover, for all they did to help over the last four years. She was predeceased by her husband, Rudolph Joseph L’Italien, in 1988 and an infant son, John Rudolph L’Italien, in 1955. Claire is survived by her children, James L’Italien of Chicago, Ill., Claire Cruwys of Lowell, Mass., Mary Anne Waisanen and her husband, Waino of Hampton Beach, N.H., Joseph L’Italien and his wife, Joanne of North Andover, Mass., Barbara L’Italien and her husband, Kevin Hall of Andover, Mass., Patricia Rybolt and her husband, Terry of Danvers, Mass., Edmond L’Italien and his wife, Elaine of Parkland, Fla., and Susan Quinn and her husband, Bruce of Jupiter, Fla. Her beloved grandchildren are Kaitlin Ross; Jason and Karissa L’Italien; William, Jennifer, Timothy and Jessica Cruwys; Ryan and Kara L’Italien; Rudolph, Alexandra, Samantha, and Andrew Hall; Olivia and Hanna Rybolt; Sean L’Italien; and Nicholas, Parker, Zackery, and Angelina Quinn. Claire had 12 great-grandchildren and one great-great-grandchild. She is also survived by her brother-in-law, Richard L’Italien of Tewksbury; her niece, Patricia Harrington of North Andover; and many nieces and nephews. Claire’s children cordially invite you to visiting hours on Friday, April 7, from 2 to 8 p.m. at the John Breen Funeral Home, Amesbury Street, Lawrence. Funeral Mass to be celebrated Saturday, April 8, 2017, at Saint Mary’s Assumption Church in Lawrence at 10 a.m.
Memorial contributions may be made to Spectrum Adult Day Health in North Andover. For online condolences and other information, please visit us at www.breenfuneralhome.com. - See more HERE.